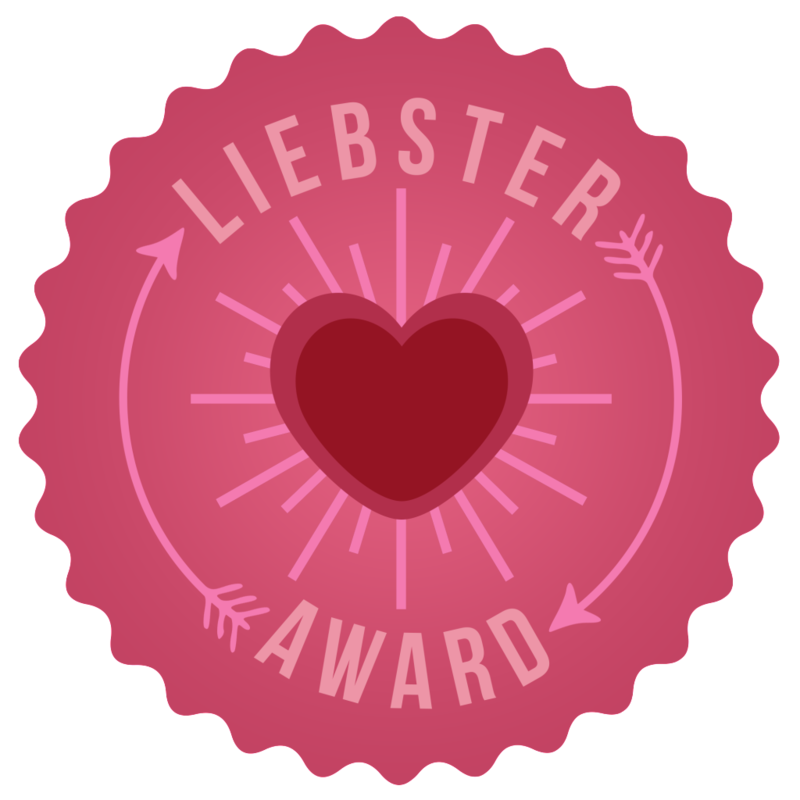 I had some lovely news at the end of last week – Amy, who writes at Amy’s Corner has nominated me for the Liebster Award! The Liebster Blog Award is an internet-based award that’s handed out from blogger to blogger and is designed to help people find new blogs to read and follow, as well as being a fun way to get to know the blogger behind the blog. It’s so nice to be picked for something like this, and I think this award is a great idea. I think it’s a fantastic way to get to speak to other bloggers too and really nice to show appreciation and acknowledge those whose blogs you enjoy reading! We should all share the things we love – that’s why we have blogs after all, isn’t it?! 1. What’s your favourite place to eat and drink? Hmm…now this is a tricky one! Can I really pick one? Well as it’s to eat and to drink I’m going to have to pick 2, (sorry Amy, slightly bending your question here!). TGI Fridays is such a fab place for a meal – I mean those cocktails, wow! Love a cocktail meal there. Then there’s the Big Easy – The Crabshack. My Lobster at the Covent Garden restaurant launch was amazing, and I’ve also been for an all you can eat Fajita night – just wow! Steak and prawn fajitas are the best! 2. What’s the best beauty and/or life hack you know? 3. If you were stranded on a deserted island, what three items would you like to have with you? My Zippy Hoodie – I always get cold. Could you imagine having a chilly night and being stranded. Not fun! Sudocrem – Could use it for everything! Magic Cream! 4. What’s a random fact about yourself that not many people know? 5. Money is no issue and you get to visit anywhere in the world, where would you go? I really want to travel the World so picking one place is so hard! I do really want to see India. I’ve heard it’s a huge culture shock and I really want to experience it. But I would also love to go to Australia – One of my best friends from high school is getting married out there next year and I would love to be there for that! This is such a hard one! My half marathon medal would definitely be up there, it took so much training, determination and will to book it, get there and raise money for such a worthwhile cause. Receiving the medal at the end to prove I’d done it and achieved that life goal was such a fab feeling and I will treasure the medal for my first half marathon for a long time! 7. Name the last film or TV program you watched that you can’t stop telling people about it. The Blacklist – An American Crime drama, but way more cool than that sounds. It’s about ‘Red’, a former government agent who has avoided capture for decades and suddenly comes back on the radar. He’s helping the FBI capture people who appear to be on some sort of list, but he’ll only speak with one FBI agent. The relationship between them and why he will only want her – no-one knows. The story goes deeper and deeper – amazing series! A dog. Most dogs (maybe it’s just I like to think most…hmmm) are in loving homes. I think dogs are the most-loved animal, not cats bleurggghhhh. To be in a loving family, be looked after and be able to show love back. Not all animals get the laid back lifestyle, many being hunted and tortured, which is horrible to think about! 9. What’s your biggest achievement to date? Moving to London. Some people might think this is strange – what about uni? your half marathon? But no moving to London was a huge step for me. I moved down by myself, over 3 months before my boyfriend moved back to London and made a life for myself. I supported myself, got settled in my job (although I didn’t like it for that long! ), made friends through attending dance classes – and look at me now. Loving life, could never move back! Confidence, or putting a confident front on gets you so far! 10. If you could create a TV show, what would you call it and what would it be about? Main characters are a male and female – not in the police. They are trying to solve on their own, you know how it usually goes, the police only slow them down. The Female is a computer geek – extremely good at tech and using it for her benefit! Each episode they get into some sort of sticky situation…how will they escape it? 11. What’s one beauty-related item that you cannot live without? Where in the world do you most want to visit? If you were to be a sweet, what would you be and why? If everyone had one night to live, what meal would you pick for your last meal? If you could meet anyone in the World, who would you most like to meet? Which do you prefer: Summer or Winter? If you could learn one new talent instantly, what would it be? What’s the one beauty item you couldn’t live without?